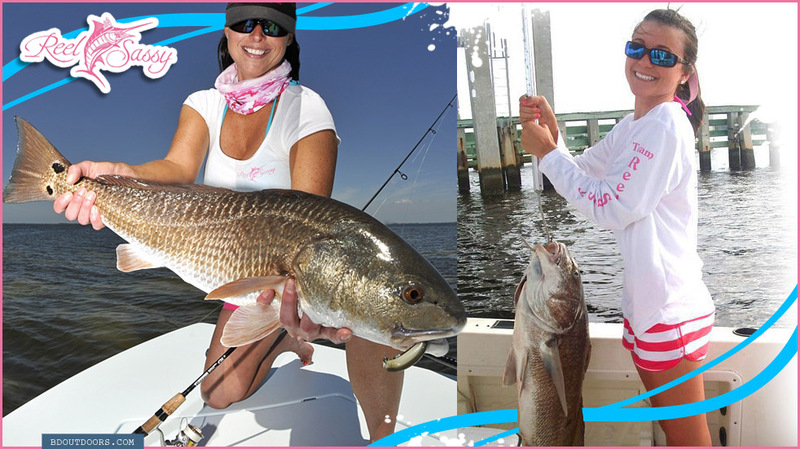 Kimberlee Ewing and Kristy Levin wanted to give lady anglers their own line of fishing clothing, and that’s how Reel Sassy began. 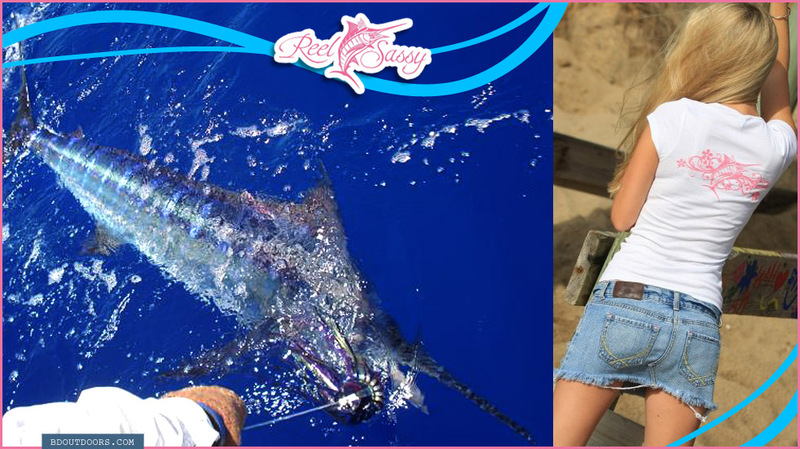 Gettin’ Reel Sassy with a nice Atlantic sailfish. Who says you can’t look good while playing hard? At work and at play, the Reel Sassy girls always have a good time. 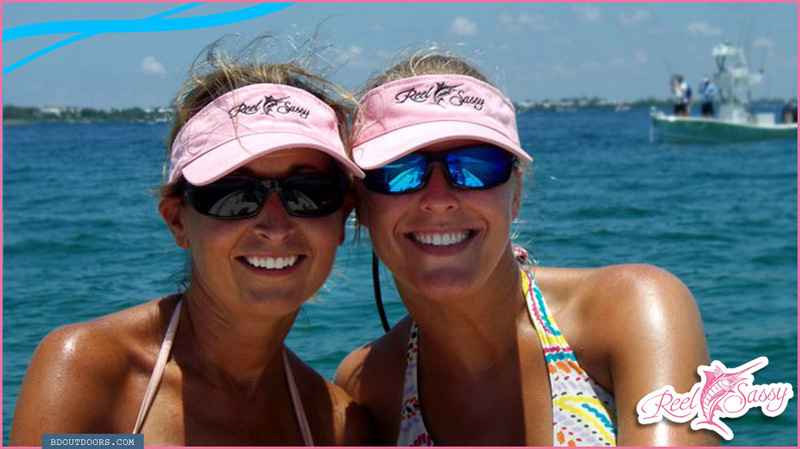 These girls have fished the offshore tournament circuit. 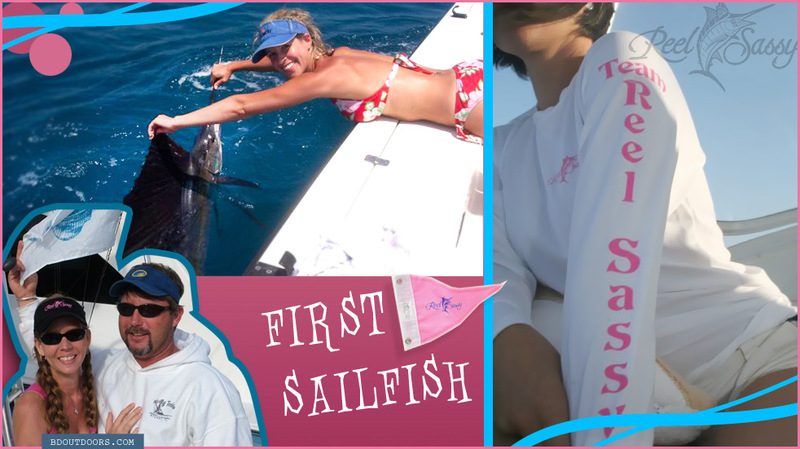 Tradition dictates that you get thrown in after catching your first billfish. Guess who’s going for a swim back at the dock? 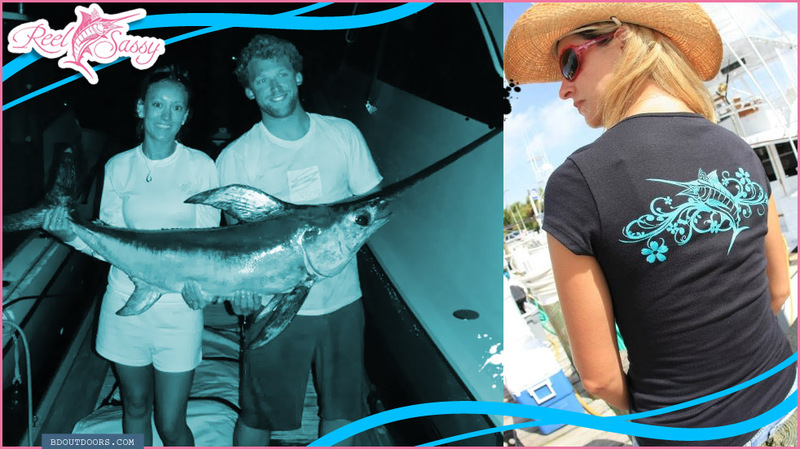 Catching Atlantic sails off the coast of Florida make a great species to perfect your big-game techniques before going after the elusive blue marlin. A few kingfish in the box are always a welcomed catch. 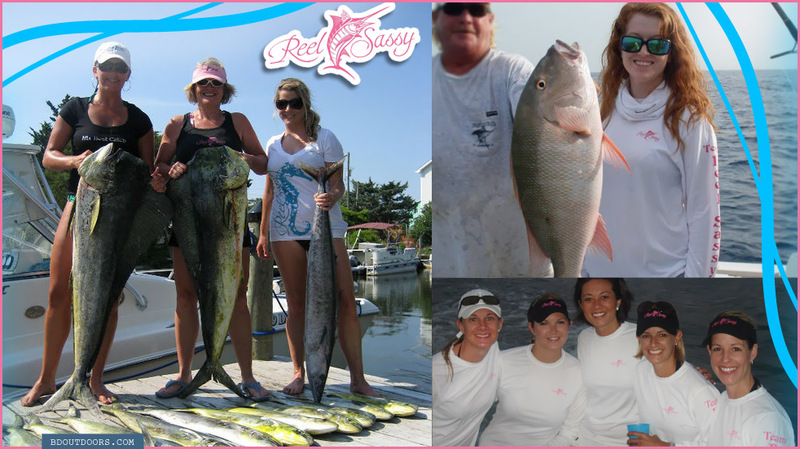 Another good day for the Reel Sassy girls. A good day on the water isn’t always about the fishing. Don’t give your girl a hand-me-down shirt… Get her a tank top that she’ll actually wear. 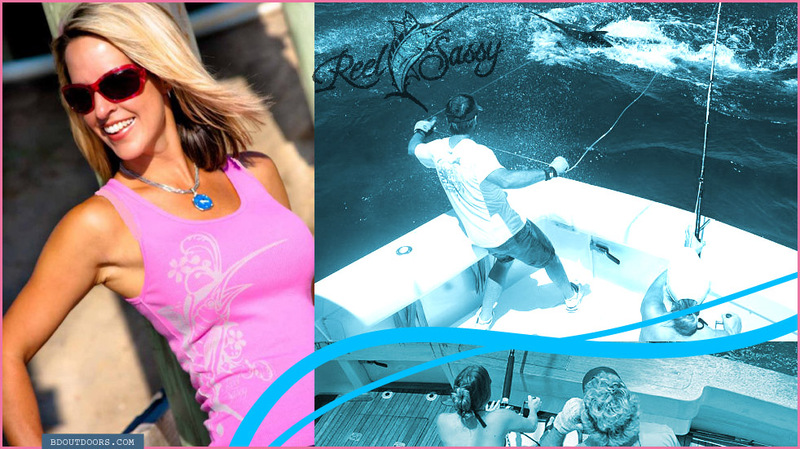 Check out the entire line of products at www.reelsassy.com. 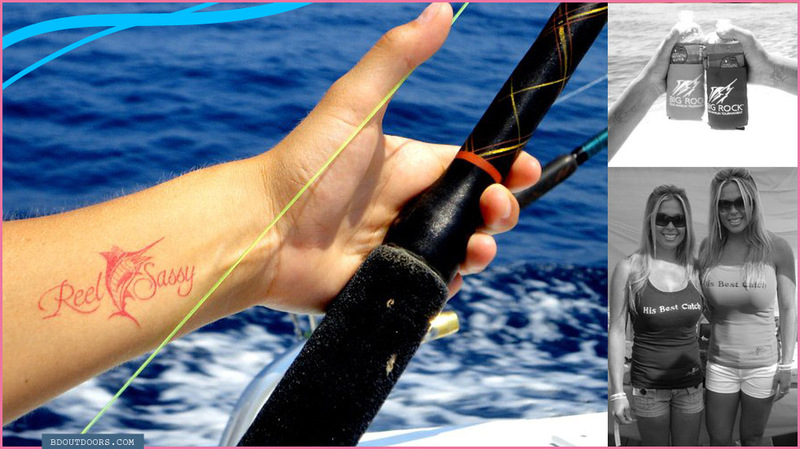 These girls learned to fish from their husbands, who are professional captains. 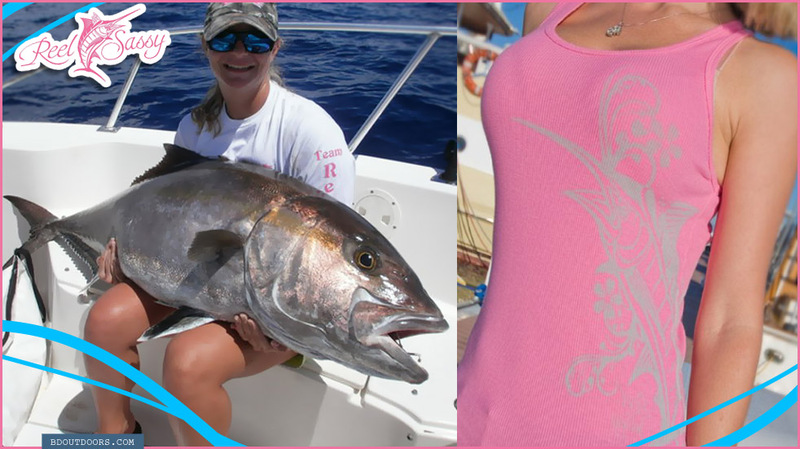 Do you have a Nauti Girl that you want to take fishing? 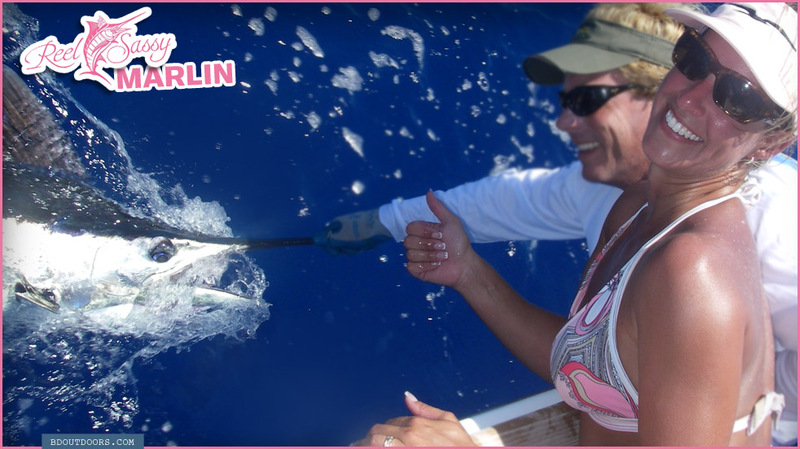 Any day you catch a blue marlin is a good day! Which one is cuter, the baby sword or the Reel Sassy girl holding it? Never be afraid to get some fish blood on your hands. These girls aren’t!